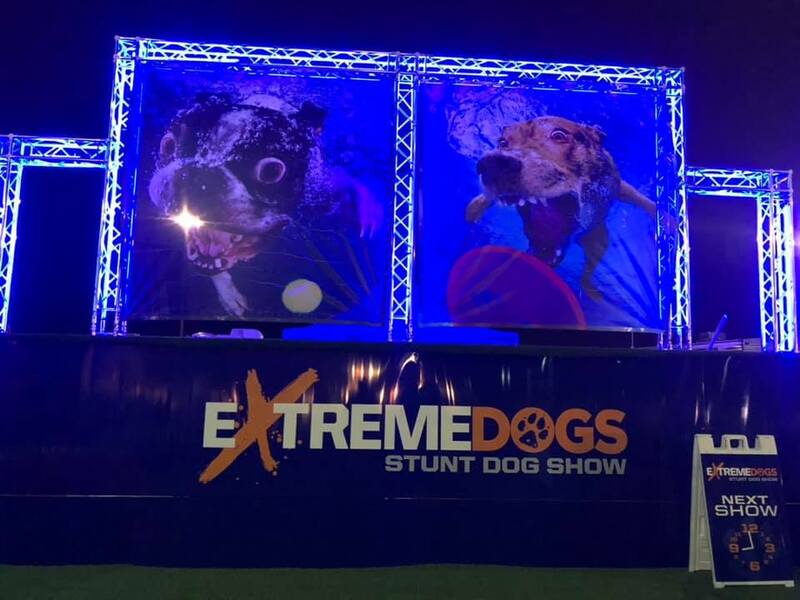 FUSION Talent Group is proud to launch our brand new mobile stage. Themed like an old throw back to vaudeville, this stage presents many opportunities and practicalities. FUSION Talent Group offers a world class roster of comedy jugglers that can anchor the stage shows, BUT as well we do offer bundle combo packages similar to all of our other mobiles stages. Consider the "CUTEST SHOW ON EARTH" (circus edition theme) along with "the GIANT FLEA CIRCUS". This creates a steady flow of shows occuring throughout the fair day. 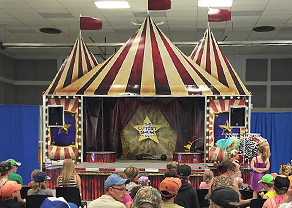 As well, each mobile stage is outfitted with a "Kid's Pedal Tractor Pull Show" for transportation since this is one of our "no brainer" popular attractions we provide. A true one stop shop for your family zone.